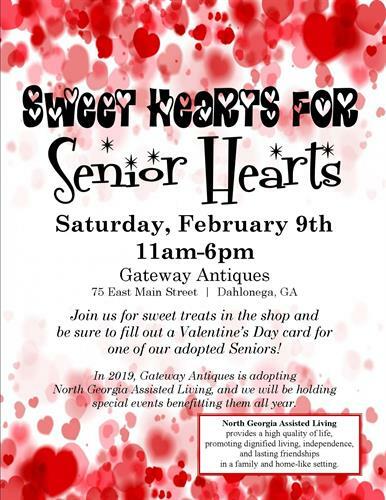 Come join Gateway Antique Mall Valentine's Day Sweet Hearts for Senior Hearts. There will be treats and discounts throughout the store for our customers. While shopping please sign a Valentine's Day card for our adopted Seniors from North Georgia Assisted Living. We have adopted them for 2019 and will have events throughout the year to benefit them.